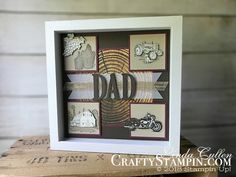 Stunning card created with the elements from the Stampin’ Up! Frosted Floral Suite. 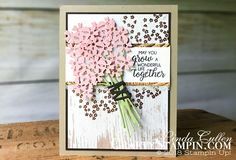 The beautiful flowers are created with the First Frost stamp set in a great combination of Blushing Bride and Blackberry Bliss. The Silver Foil branches and die cut leaves are created with the matching Frosted Bouquet Framelits Dies.